I’ve been to Stow on numerous occasions over the years and had never noticed, let alone heard talk of, this claim. Rather disappointed – considering myself somewhat of an expert on the pubs of Oxfordshire and Gloucestershire – I wandered on in search of an anodyne tea shop. There are, of course, similarly triumphant proclamations across the country and the subtle differences between inns, pubs and ale houses all come into the mix. Yet I had been convinced on travelling to Nottingham several years ago that I had ticked this particular task off my bucket list. Ye Olde Trip to Jerusalem is a pub that knows how to promote itself. Tourists, students and ale connoisseurs alike flock to its quaint frontage against the castle walls for a quick sup…or a quick selfie. Its founding date is stated as 1189, somewhat coincidental given that this was the year of Richard I’s ascent to the British throne and the beginning of the Third Crusade. Yet I too was on pilgrimage, thirst and historical intrigue quenched in one alcohol-soaked burst. Since then I have come across other boozers that defiantly lay claim to an earlier establishment, not to mention the plethora of pubs claiming to be Britain’s ‘Most Haunted’! But 947AD seems uniquely ancient. Eadred was King of the English, a Hungarian army invaded Italy, and Al-Masudi completed his masterly The Meadows of Gold. 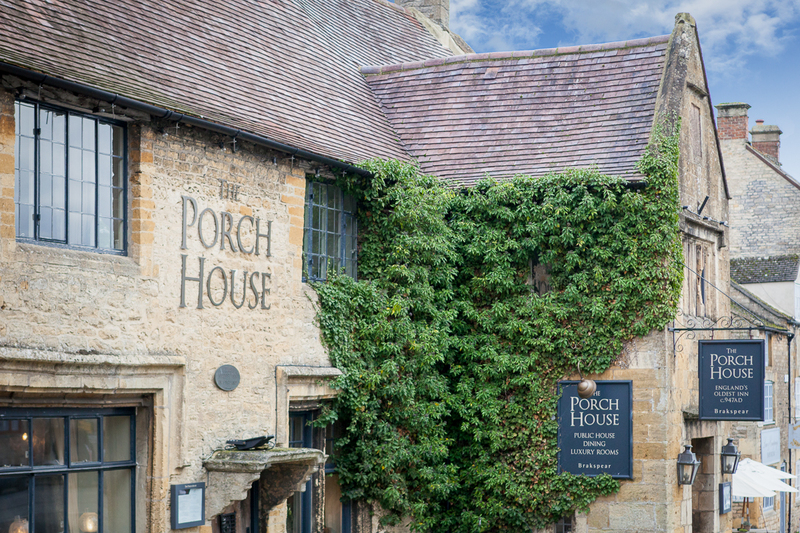 To think of wayfarers stumbling into a parochial medieval settlement and being greeted with a freshly-constructed tavern, and possibly a flagon of ale or two, is astonishing to say the least. Eadred: a pioneer of the pub? 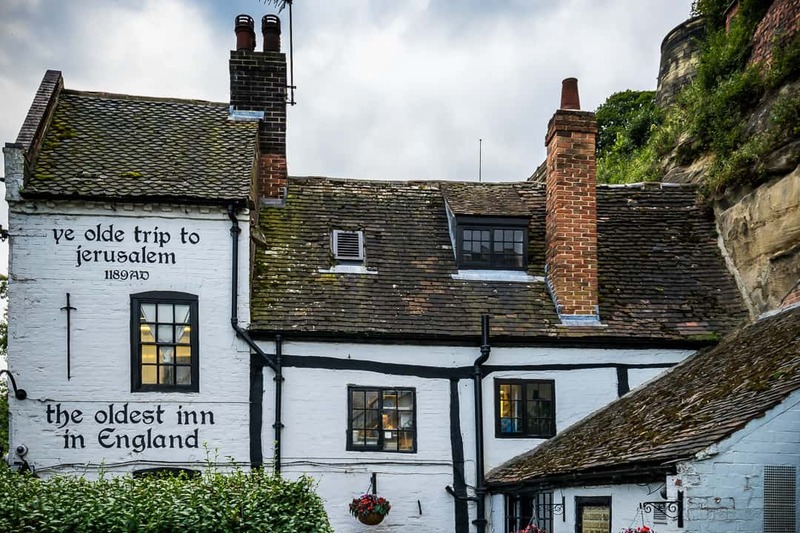 However much we may doubt the grandiose pronouncements of the British pub sign – archaeological and historical research rarely verifies them – they are demonstrable of the cultural importance such establishments have had, and continue to have, in the country. The Campaign for Real Ale (CAMRA) regularly decries the decline of the old-fashioned pub in an era of inflated prices and fast food. They are right to; every pub that perishes takes a bit of history with it. There is nothing more fascinating than sitting in the dimly-lit corner of The Three Pigeons or The Eagle Tavern, or whatever your local might be, mulling over the day’s events or a contentious topic with a glass of beer in your hand. All the while you are surrounded by the trinkets and bric-a-brac of yesteryear, which would otherwise be confined to an antiques shop or the dusty bottom draw of a former landlord. Farming implements and silver goblets, extinct currency and brown-stained beer mats, photographs of country markets and horse-drawn wagons, advertisements of long-forgotten brands: ‘Yorkshire Relish: the most delicious sauce in the world’. Britain needs these places, particularly in such days of uncertainty. Yes many are becoming increasingly expensive, catering for the friendly but oblivious elite whose bottomless pockets and penchant for rural charm lure cash-strapped owners into desperate ‘rebranding’ schemes. Yes many are chain-owned, their souls threatened with exorcism by standardised beer taps and menus. Yes many could do with a lick of paint, a livelier ambience, a wider drinks selection. But they are all unique, they all have stories to tell, and they all offer us a numbing place of refuge from the oft-painful tribulations of reality. The Great British pub is one of a kind and, no matter its age, it is worth fighting for. Author Stefan LangPosted on March 14, 2019 Categories EuropeTags Brexit, British Culture, CAMRA, History of Pubs, Pubs, United KingdomLeave a comment on How Old is your Pub? Who cares, make sure it stays open! Sweden Democrats Raise Unsettling Questions About the Past: Are the Progressives Regressing? The Sweden Democrats (SD) have become the latest far right party to make significant gains in a European election, scoring 18% in the recent vote that has seen the country’s two main coalitions fall short of a majority. ‘Either we stay with a decent democracy or we choose another path’ said Swedish Prime Minister Stefan Lovren, as the anti-immigrant SD preyed on the electorate’s fears of a rapidly changing society. From one of the most homogeneous nations, Sweden’s generous immigration policies, high acceptance of asylum seekers, and low indigenous birth rate have changed the ethnic and religious make-up of the country. Since the late 1970s, in particular, refugee immigration from war zones and impoverished states abroad has rocketed. This once fit in nicely with Sweden’s political image, often held-up as the epitome of Social Democracy operating at its finest. Yet the reality now is that about 15% of Sweden’s population was born overseas and another 10% have foreign born parents. Understandably, this radical demographic change has unsettled some of the natives. But whilst the SD has to an extent capitalised on these fears, its prospects for altering the political landscape appear slim. For a start, neither coalition – one centre-right and the other centre-left – is willing to include the SD in government. Then there is the small matter of Sweden’s history. Whilst the SD has its roots in fascism and white supremacism, it is not a neo-Nazi movement and Sweden has typically been free of extremist political groups. At least, none have caused much of a political tremor. More disturbing, and perhaps something that remains ingrained in the minds of some Swedes, is the government’s tacit support of the Nazis during World War Two (WWII). Technically neutral during the conflict, it is not an overstatement to say that the Swedes were a substantial contributor to the German war effort. Hitler’s regime was reliant on Sweden for a huge proportion of its iron ore, which arrived at German ports in Swedish ships. Swedish miners were even exempted from the draft so that production for the Nazis would face minimal disruption (Judt, 2005, p.84). Simultaneously, Wehrmacht troops were given free transit through Sweden during their forays into Norway. The Swiss have received considerable scorn for their role in playing financiers to the Nazis, their unscrupulous banking system siphoning the ill-gotten gains from persecuted Jews and re-directing them to Hitler’s ministries. For the Swedes, criticism has been rather muted. Of course, the alternative for the Stockholm government was hardly appealing. Risk war with the Nazis? Cosy up to the Soviets after their invasion of Finland? Acquiescence is understandable, although a certain complicity is undeniable. Perhaps a collective guilt has prevented its people from dabbling in right-wing politics in the past? Is this now changing through a younger generation with no memories of the war in their immediate families? Tough questions and even tougher decisions undoubtedly lie ahead for the Swedes, as they do for the rest of Europe. With continental economies still not fully recovered from the Great Recession, and rapid demographic change proving an insurmountable challenge for some governments, citizens are necessarily concerned. It often needs a rising tide of populism to prompt decisive action. How will Sweden’s politicians – oft lauded for their progressive and fair social and economic agendas – decide to respond? Embrace the legitimate concerns of the SD voters? Or band together and carry on as before in the hope that the far right quickly fades away? Needless to say, the ‘good old days’ will take some recapturing. Author Stefan LangPosted on September 13, 2018 Categories EuropeTags Jimmie Akesson, Nazism, Right Wing Politics in Europe, Social Democracy in Sweden, Sweden Democrats, Sweden Election, Sweden in World War Two, Sweden Iron Ore WWII, Swedish PoliticsLeave a comment on Sweden Democrats Raise Unsettling Questions About the Past: Are the Progressives Regressing?